Special Olympics GB is delighted to have the SOS Group as an official supporter of our 40th Anniversary Games – which start this week and are being delivered by Special Olympics Scotland. 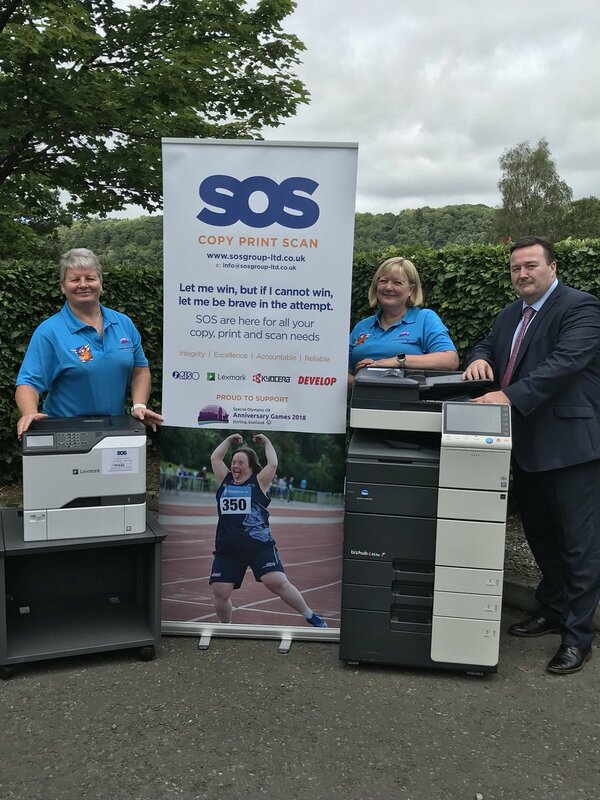 SOS Group will be offering their great service and support in the Digital Office Equipment areas for the success of the forthcoming Special Olympics GB 40th Anniversary Games. Andrew Skelton, Director of SOS Group Ltd, said: “We’re thrilled to once again support Special Olympics GB. “As a company, we’re adept at providing copy and print services at major events like this and we were very proud to be involved in last year’s Special Olympics National Games in Sheffield. The event will also pay tribute to 50 years of Special Olympics – founded in 1968 in the USA by Eunice Kennedy Shriver – sister of President John F Kennedy. The SOGB 40th Anniversary Games will be hosted by Special Olympics Scotland in Stirling and is being supported by EventScotland, part of VisitScotland’s Events Directorate. The Games are expected to welcome over 1,400 Special Olympics athletes with intellectual (learning) disabilities, plus officials and also attract over 4,000 spectators from the UK and also across the World. Special Olympics athletes are competing in ten sports, including boccia, badminton, indoor bowls, cycling, football, golf, table tennis, swimming, MATP and athletics.